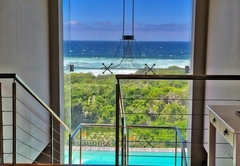 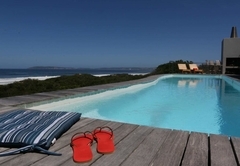 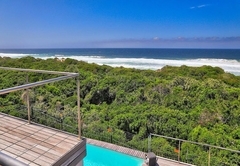 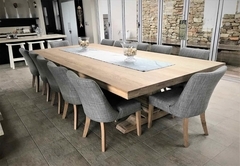 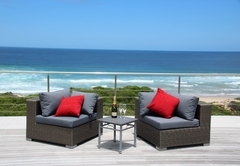 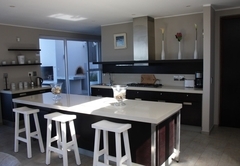 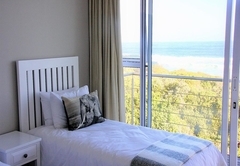 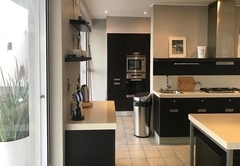 Seascape Villa is a property providing self catering in Keurboomstrand for up to 10 guests visiting the Garden Route region. 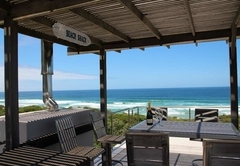 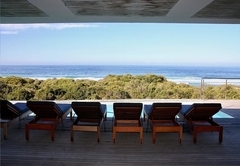 Located on the beautiful Keurbooms Beach, SeaScape Villa offers wonderful outdoor living space and a direct walkway to the beach. 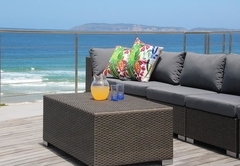 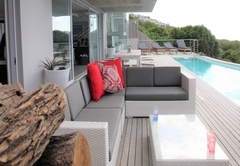 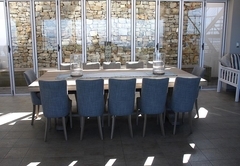 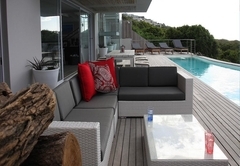 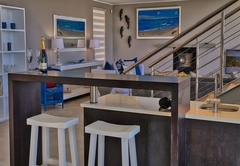 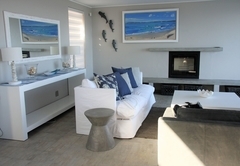 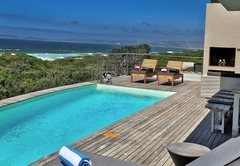 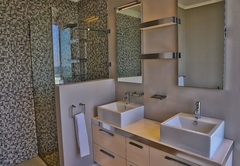 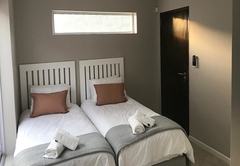 SeaScape provides self-catering accommodation for ten guests. 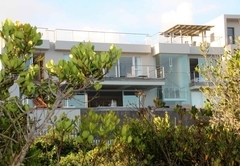 SeaScape Villa holiday house has five bedrooms, two of which are not accessible from inside the main house. 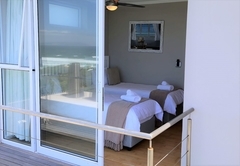 The other three rooms, one of which is the master bedroom, are in the main house. 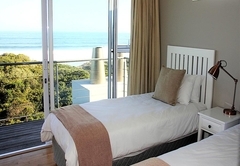 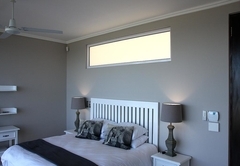 Bedrooms are furnished with either single, double or King-size beds. 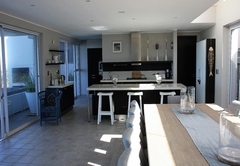 The open plan, spacious living areas open onto the pool deck via stacking doors. 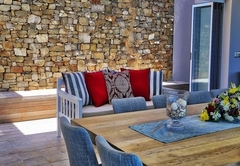 This is perfect for al fresco living and the pizza oven, barbeque facilities and outdoor sitting areas make this a great place to unwind. 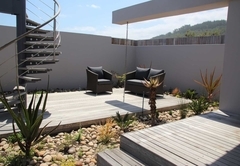 Guests can enjoy sundowners at the bar counter while taking in the fresh air on the rooftop deck, accessible via a spiral staircase through the courtyard area. 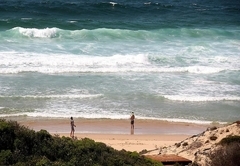 Keurboomstrand has plenty of activities for everyone to participate in and explore such as upmarket bars and restaurants. 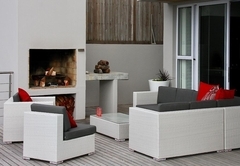 Response timeSeascape Villa typically responds to requests in 5-10 minutes.